Statistics show that 70% of Americans1 are overweight or obese. Many of these individuals have metabolic syndrome, a cluster of health conditions including increased blood pressure, high blood sugar and abnormal cholesterol or triglyceride levels, putting them at increased risk for heart disease and type 2 diabetes.2 Some are already taking medications to manage these conditions. This combination of risk factors presents a ripe opportunity for pharmacists to take action by offering medically sound weight loss solutions to help people lose weight and as result, improve their overall health. Community-based pharmacists are the most accessible of all healthcare professionals. They possess the clinical skill, knowledge, training and ability to effectively and immediately improve people's health. A medically-designed and developed weight management protocol enables pharmacists and their teams to make a real difference in people's lives. Adding a service line can also combat increased cost and revenue pressures. A patient-centered, structured approach with products, physician oversight and one-on-one coaching to support permanent lifestyle change are integral in an effective weight management protocol, and can all be offered through a pharmacy. Independent community pharmacies have traditionally offered health and wellness services to their patients, including screenings, immunizations, and smoking cessation programs. Now, you can also offer a weight management protocol to this established customer base. 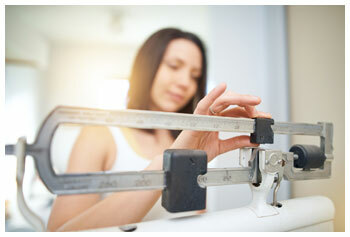 The addition of a service for weight loss and ongoing maintenance is a natural synergy. It's good for your patients, and good for your pharmacy.